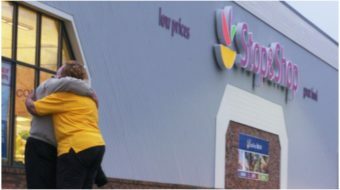 Spring came early in Maryland this year – the pollen count is sky high, a G.I. flu has broken out, and there is a red hot election going on. The Senatorial seat of Barbara Mikulski is open as she retires after 30 years in the U.S. Senate. Two Democrats and a Green Party candidate have thrown their hats into the ring, with several Republicans ‘also running.’ Maryland sometimes elects a Republican governor, but no one is betting that the Senate race will produce anything but a Democratic winner. 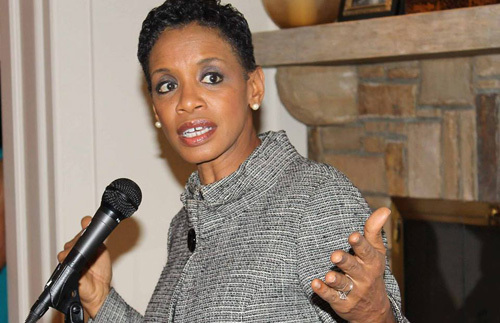 In 2006, a community organizer and single mother, Donna Edwards, gave up on getting effective representation from Albert Wynn, the then House of Representatives officeholder in the fourth Congressional district of Maryland. She had helped elect him but had seen him fall short of the leadership needed. After losing the election but garnering some good publicity, Edwards ran again in 2008 and beat Wynn. Since then, she has easily held on to her 4th Congressional seat and has come out as a strong supporter of women, labor and working families, veterans, and elders. She helped to write the Violence against Women Act, expanded food programs for children to include afterschool meals, and argued against any cuts to Social Security and Medicare. She was an early foe of the Trans-Pacific Partnership, and boycotted Netanyahu’s speech to the House of Representatives. As soon as Mikulski announced her decision not to run for an eighth term, Donna Edwards made public her intention to run for the Senate seat. Edwards’ opponent, Chris Van Hollen, became a state senator in 1994 and served 8 years in the Maryland General Assembly, winning a U.S. Congressional seat in 2002. While in Congress, he and Rahm Emanuel became close as they chaired the Democratic Congressional Campaign Committee, the fund-raising arm of the Democratic Party in the House. He was picked by Nancy Pelosi to be ranking chair of the Budget Committee. The head of the Maryland State Senate, Mike Miller, has stated that Van Hollen is “born to the job” of U.S. Senator. With a campaign war chest of over $3 million, Van Hollen has been criticized by Edwards for his funding from corporate sources. He has accepted more than half a million from the National Association of Realtors and from a Wall Street financier, who supported him ‘because of his work on Type 1 Diabetes.’ Now that Emily’s List (a women’s PAC that supports candidates who are for reproductive choice) has contributed to the Edwards campaign, Van Hollen has counter charged that she is accepting ‘out of state’ money. Edwards’ energetic, grass-roots fund-raising campaign, which relies largely on contributions from small donors and some unions, was crucial in boosting her odds against Van Hollen. It has now put her in the lead in the battle to succeed Barbara Mikulski. Her first television ads portrayed her as a strong African-American woman who, because of raising her son alone, understood how supporting families and advancing an adequate social safety net provides a good foundation for the young. Van Hollen’s initial ads, by contrast, did not picture him at all, but focused on women, both Black and white, who were supporting him. While Donna Edwards stands on her record, she has also been forced to defend herself against Van Hollen’s charges that she has not brought any big jobs deals to Maryland and does not have adequate experience in foreign relations. With a daily increase in TV and direct mail ads, the odds against Edwards may seem all but insurmountable, but she has continued to maintain a lead in Maryland opinion polls. Both candidates currently serve the suburbs of Washington, D.C., a very progressive part of the state. Both candidates, at this point, are opposed to the TPP, were against the Iraq War, and are strong on Social Security (although it took Van Hollen a while to get there on each of these issues). With Donna Edwards in the race, however, the current election not only pushes the progressive agenda, it also educates the electorate in understanding the position of Black Lives Matter – that Black laws and Black leadership matter. And it builds possibility: the possibility that Maryland citizens can play the historic role of electing only the second African-American woman in our nation’s history to the United States Senate. Early voting in the Maryland primary runs from April 14 to 21, and primary election day is April 26. 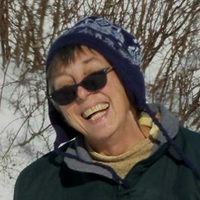 Cindy Farquhar is a progressive community activist in Baltimore.